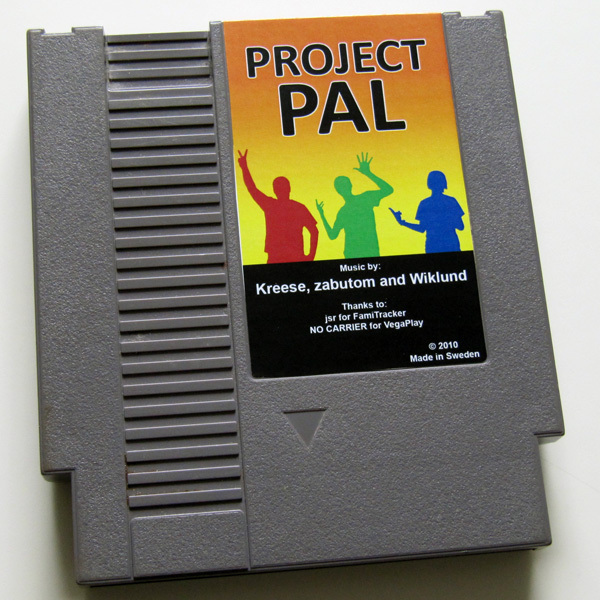 It’s a compilation with songs made for NES in the years 2006 – 2009. These songs have not been release on cartridge, only in .nsf and .mp3 format. I have been using the program Famitracker to compose this music. You can also find this album on Spotify. 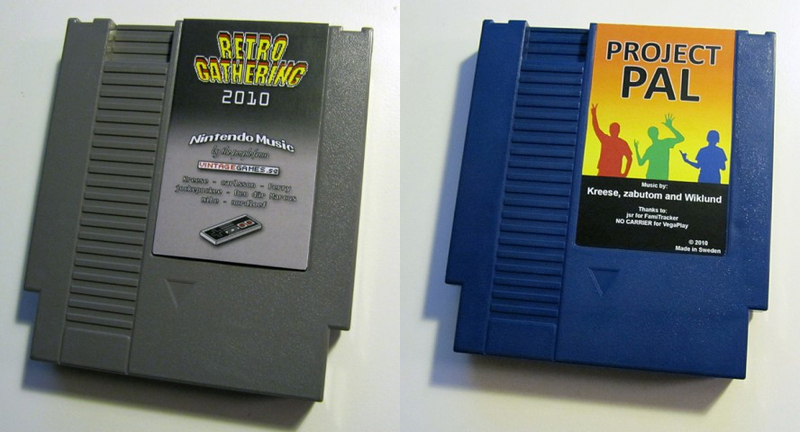 If you want to listen to the music from the “Retrogathering 2010” cartridge here are some mp3 recordings. They are recorded from my Nintendo Entertainment System (European Version) using a PowerPak from retrousb.com. In September I started a thread at vintagegames.se where I wanted people to submit songs made in FamiTracker. The songs was supposed to be on an exlusive cart only made in one copy. I was suprised to see so many good songs submitted and the cartridge was turning out really well. The cartrige was made and later sold at an auction that was held at Retrogathering in Stockholm October. All the money from the auction was donated to Retrogathering! 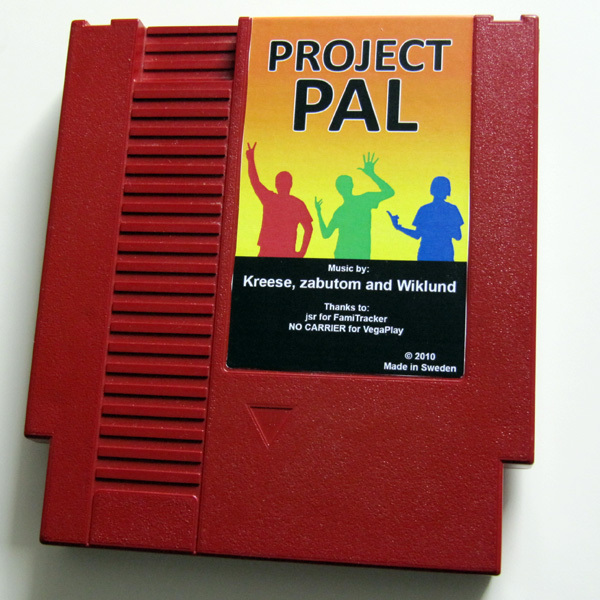 At the auction I also sold a special version of Project PAL. Cart number #31. It’s a “Limited Blue Wiklund Edition!”. Half of the money from that cart will be donated to jsr, the creator ofFamiTracker. I realised how much better soundquality it is when using the Pro Sound modification. 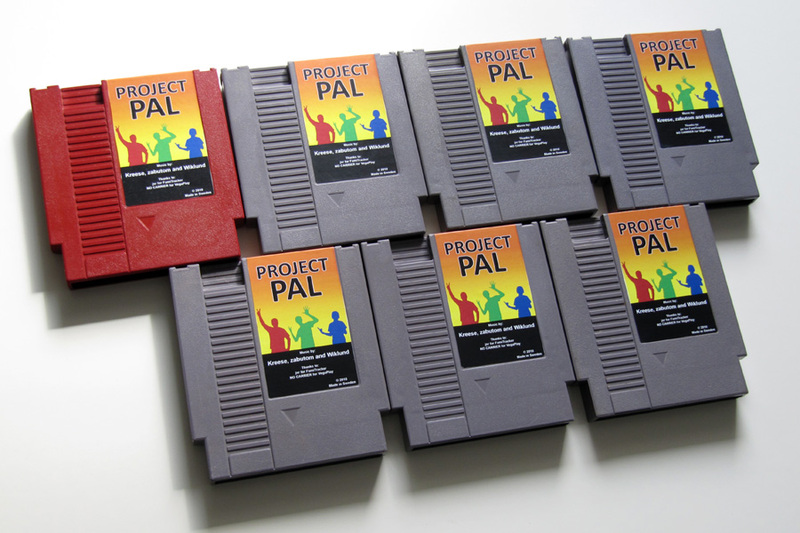 Then I decided to re-record my songs I have made in LSDJ through the years. I have only made four songs, but will hopefully try to compose some more in the near future. Now it’s really time to listen to the entries and vote! I have one original song that is submitted to the compo. Which one it is, I will not tell until the voting has stopped. Otherwise it would feel like cheating. You only have until the 19th of September to decide which songs is your favourites, so hurry up! Even though we where only three people included in the composing it took a bit longer then I first expected. Along with the coding I started to play a bit more with the graphics. I got the idea to include some pictures of us, the composers. I also wanted it to be quite colorful and NO CARRIER helped me with some pallette shifting when changing songs. Many many thanks to jsr for making FamiTracker, NO CARRIER for the VegaPlay source (and some additional help with the coding), Pinge80 for the help with eproms and other technical support. Thanks to Wiklund and zabutom for their great songs on the cart!